Rihanna And Chris Brown Back Together And Vacationing In Miami! After an alleged domestic abuse incident between Chris Brown and Rihanna, which led both to cancel award show and concert appearances, the young couple is reportedly back together and vacationing at Sean "Diddy" Combs' home on Miami Beach's Star Island. A source tells PEOPLE magazine: "They're together again. They care for each other. 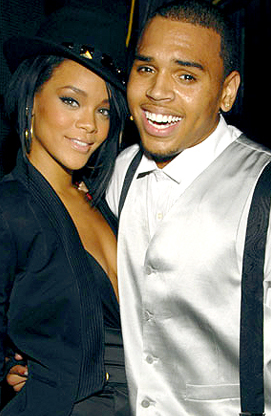 While Chris is reflective and saddened about what happened, he is really happy to be with the woman he loves." Chris Brown had been arrested on February 8 on suspicion of making criminal threats against an unidentified woman but has yet to be formally charged with any criminal wrongdoing. VIDEO VIRUS: Can You Name All the Cameos (Ron Howard, Jake Gyllenhaal) in Jamie Foxx’s ‘Blame It’ Video? Just when you thought the recession had put an end to champagne-popping, booty-shaking club videos, Hollywood heavy-hitters Jake Gyllenhaal and Ron Howard pull up in luxury cars and step into the club in Jamie Foxx's latest video "Blame It." Foxx teams up with T-Pain to bring yet another grinding-in-the-club video and pulls award-winning actors Jake Gyllenhaal, Samuel L. Jackson, Forest Whitaker, Academy-Award winning director Ron Howard and even super producer Quincy Jones along for the ride. Look real close and you'll also catch a glimpse of Morris Chestnut, Bill Bellamy, Cedric the Entertainer, Foxx's sister, and a dancing panda in a suit! Freida Pinto and Dev Patel, the stars of Slumdog Millionaire, cover the latest issue of Entertainment Weekly, with their EIGHT Academy Awards! In the issue, the magazine chronicles how the small film from India, helmed by a Brit (Danny Boyle) became an Oscar darling. "Working on the film has sparked a confidence in me, and a passion for acting," Patel says. "I feel I can hold my head up high now. I feel like I matured five years in the space of five months. I'm 18 and I was at the Oscars yesterday!" While Pinto, who can next be seen under the direction of Woody Allen, says of her journey, "Now I think that the fruit of the struggle ends up being the sweetest taste possible. I mean, this is strawberries, raspberries, blueberries, apples, bananas--the sweetest fruits in the world put together. It changed my life!" 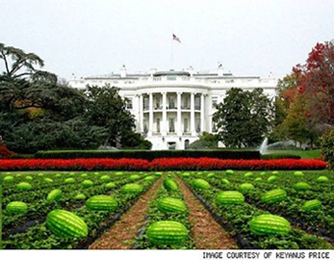 Dean Grose, Mayor of Orange County's Los Alamitos city in California, plans to resign over controversy from a joke email he distributed depicting the White House with rows of watermelons on its front lawn and the caption "No Easter egg hunt this year." One of the recipient's of Grose's email African American Council member Keyanus Price told the AP, "I honestly don't even understand where he was coming from, sending this to me. As a black person receiving something like this from the city-freakin'-mayor - come on." Grose claimed to be ignorant of the email's offensive nature saying "Bottom line is, we laugh at things and I didn't see this in the same light that she did." "I'm sorry. It wasn't sent to offend her personally - or anyone - from the standpoint of the African-American race." On Wednesday morning Grose found a smashed watermelon on his office doorstep and issued a statement on Thursday saying he will step down as mayor at Monday's City Council meeting. This reminds Blindie of those abominable Obama bucks with the pictures of a watermelon, Kool-aid and KFC. Not funny. Blindie's a big Gilmore Girls fan and through Twitter we found this on former GG star John Cabrera's tweet: singer songwriter Kay Pettigrew reworking the Fresh Prince of Bel Air theme song. Not only does she take away the beat and the rapping, but she totally transforms Will Smith's original into a catchy folksy song that Yael Naim or Feist or Regina Spektor would make into a single! First Lady Michelle Obama has a new look, a new home and some new rules--which she shares with People magazine. Malia and Sasha may be the world's most famous kids, but the First Lady doesn't let them get away from their chores: making their own beds, cleaning their rooms and clearing their dishes. "People want to make your life easy, and when you have small kids – I've explained this to the staff – they don't need their lives to be easy," Obama says. "They're kids." Form a band. They could be the Indian version of the Naked Brothers Band or a Desi Jackson Five -plus one! Star in their own Nickelodeon sitcom. 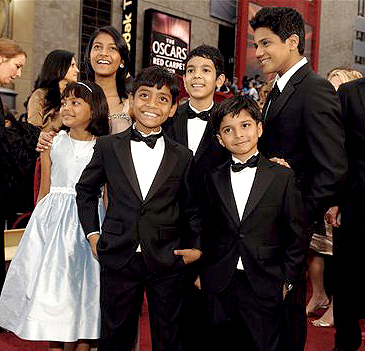 Come on, six little Indian kids speaking broken English is sure to get some laughs. Throw in Ryan Seacrest as their wise-cracking adoptive dad and now you're talking Emmy! Star in a big budget Hollywood film. Call up Robert Rodriguez, we've found the next Spy Kids! And they could probably do their own stunts. Start their own fashion line. Considering most of America's retail clothing is manufactured overseas, most likely with Slumdog-like child labor, the kids mind as well be in charge of their own label. Work at Disneyland. We heard the kids had a blast at Mickey's hometown and since they did so well entertaining on the streets of Mumbai, so they're sure to be a crowd pleaser in the It's a Small World ride.